Beamans have been in the business over 20 years, delivering first rate consulting and training with an emphasis on reward, performance management and organisational reviews to deliver improved efficiency. Originally founded in 1995 by three former senior civil servants working in HM Treasury who saw a better way to manage and implement large scale change. We have since built up an experienced team of highly skilled specialists and associates with particular insight and expertise in reward, talent assessment, job evaluation and performance management across both the public and private sectors. Our clients are attracted by our many years of expertise and knowledge coupled with our hands-on public sector experience. We have an inherent understanding of the complex challenges and obstacles facing public sector managers, because we’ve experienced them first hand. Beamans are proud to have been appointed as the exclusive provider of JEGS training and remain the sole licensed provider of JEGS job evaluation services. Our appointment as training provider was first made by the Cabinet office in 1997 and recently secured until 2018, cementing our reputation as the UK’s experts in JEGS job evaluation and training. What motivates us all is our commitment to provide a better way to improve efficiency in organisations through cost effective, high quality consulting. Jane brings over 20 years experience, working across government departments and agencies in operational, policy, project and programme management, to her role at Beamans. This expertise spans the range of HR and OD disciplines, enabling her to contribute across all areas of Beamans’ business. Jane’s years of experience, which includes managing organisational design and development and associated IT projects, has given her both strategic insight and expertise in leading and delivering organisational effectiveness through people. Immediately prior to joining Beamans in 2005 as a consultant, later becoming managing director, Jane was head of HR operations for a global government business, where she led the transformation of HR and the delivery of HR advice and services. Jane is a Fellow of the Chartered Institute of Personnel & Development, Member of the Institute of Consulting and is an ISEB qualified project manager. She has a BA (Hons) from Durham University and an MA from Salford University. 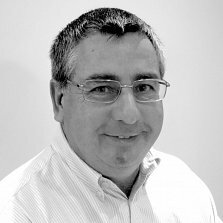 Michael is a leading expert in job evaluation and training, a specialism honed over 20 years as a consultant working across the whole spectrum of reward management. From job evaluation, salary surveys and market pricing, to the development of bespoke pay and grading frameworks and reward strategies in the UK and overseas. This extensive experience in the use and application of job evaluation means Michael is able to take a broader perspective and help clients ensure their approach will support business objectives. As well as developing the culture, structure and people capabilities they wish to build. Michael’s evaluation expertise has seen him appointed to act as an expert witness in a number of equal pay cases. Michael also conducts preliminary assessments on legal cases to gauge the merits of claims, enabling clients to decide on appropriate strategies. Michael is an experienced trainer of people at all levels, on different aspects of job evaluation. He is responsible for leading and managing the Beamans training team delivering various reward management training events including JEGS practitioner training. Prior to founding Beamans in 1995, Michael worked in a variety of organisations in the public sector on reward, job evaluation and organisational development issues. Michael is a Member of the Institute of Consulting. 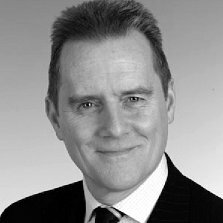 David specialises in reward and performance management, working with various clients on executive and senior manager remuneration. His wide ranging experience includes projects on base pay structures and incentive plans to structuring total reward approaches incorporating benefits provisions, career development and life style programmes. He is an independent non executive member of the National Trust Senior Renumeration Committee, and an advisor to the Royal Institute of Charted Surveyors Remuneration Committee. David began his career in local government before joining the Hay Group as a consultant, and later Mercer Limited as Head of Reward. He is a Chartered Member of the Chartered Institute of Personnel & Development; an Associate of the Institute of Management Services; and has a BA from the Open University. Emma specialises in assessing leaders using a talent assessment centre approach, and has worked extensively across both the public and private sectors. She has led on a number of projects ranging from individual coaching of future leaders to large scale talent assessments. Emma is accredited in a range of tools and techniques including work measurement, management development tools, top team development, coaching, reward, psychometrics, online diagnostics and behavioural assessment techniques. Starting her career at Ford Motor Company as a Business Change Manager, Emma joined the Hay Group as a Managing Consultant, before later working with Beamans. She has a BSc (Hons).